Turns Noob into Ditto's Noob! Does 150 damage, plus makes the opponent go to sleep. 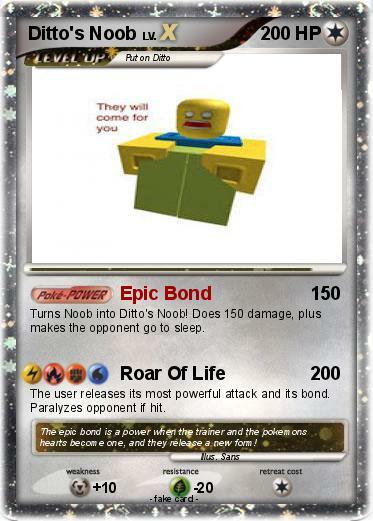 The user releases its most powerful attack and its bond. Paralyzes opponent if hit. Comments : The epic bond is a power when the trainer and the pokemons hearts become one, and they release a new form!